Death from falls and systemic neglect. That’s what a lawsuit filed by Eadie Hill Trial Lawyers claims. On August 4, 2017 Myrtle Brooks fell and broke her hip at Wyant Woods Care Center. She died a week later. The Summit County Medical Examiner, Lisa Kohler, M.D., concluded that her death was caused by the fall and broken hip. According to the lawsuit, this was not the first time Myrtle Brooks fell at Wyant Woods. Rather, she fell dozens of times due to understaffing and neglect. Myrtle suffered dementia. Dementia is a condition that affects memory and cognition in older adults. Several million older Americans have some form of dementia. Dementia can cause people to fall because they don’t understand their limitations and sometimes will attempt to do things–like walk–that are not safe for them. It is critical that nursling homes who accept dementia patients have the staff needed to supervise residents and prevent injuries. Defendants failed to ensure, through their operational, budgetary, consultation and managerial decisions and actions, that Wyant Woods was sufficiently staffed to meet the individual needs of Myrtle Brooks. Defendants engaged in a systemic practice to understaff its nursing home facility to maximize its profits at the expense of its residents’ care. This lack of sufficient staff directly resulted in Myrtle Brooks not receiving basic and necessary services to prevent, among other things, neglect leading to repeated falls between June 2016 and August 2017, including the last fall on August 4, 2017 that caused her to break her femur and die. However, the lawsuit alleges that Wyant Woods does not inform its residents or their families of the following issues relating to staffing. Wyant Woods is a 1-star facility according to Medicare’s staffing ratings, meaning that it has the worst rating for nursing care staffing possible. The national and state average for registered nursing time available in a particular day for each resident is 51 and 50 minutes, respectively. This means that for the average nursing home facility in Ohio or across the country, if you take the total amount of hours registered nurses are paid to work during a given day and divide that time by the number of residents in the facility, there would be approximately 50 minutes of time registered nurses could spend with each resident per day. But at Wyant Woods there is only on average 31 minutes of registered nursing time available per day for each resident. The amount of registered nursing time available at Wyant Woods Manor is actually less than 31 minutes per resident each day because these figures take into account all time nurses are being paid—including breaks, vacations, holidays, and personal time off—and is not limited to the time they are actually at Wyant Woods Care Center providing nursing care. Wyant Woods also falls far short in the amount of nursing assistant or aide time available for its residents. The national and state average for nursing assistant or nursing aide time per resident is 2 hours and 27 minutes (national) and 2 hours and 17 minutes (Ohio) per day. This means that if you take the total amount of time all nursing assistants or aides worked per day and divided it by the total number of nursing home residents in the facility, the state and national average is close to two-and-a-half hours of nursing assistant / aide time available for each resident per day. 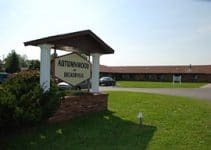 But at Wyant Woods there is only 1 hour and 38 minutes of available nursing assistant / aide time available per resident per day—approximately half the national average. In addition to having severely deficient staffing levels, Defendants also fail to mention that the amount they pay those staff members is nearly 30-40% less than the industry average meaning not only is Wyant Woods severely understaffed, the available staff is underpaid and overburdened. Not only is Wyant Woods understaffed, it has approximately twice as many residents to care for as comparable facilities. Wyant Woods resident census—the number of beds occupied in the facility—is 161 residents and is more than double the Ohio average (76.9 residents) and nearly double the national average (85.3 residents). 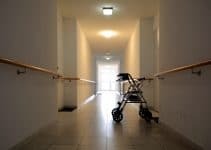 What’s the Purpose of a Nursing Home Wrongful Death Lawsuit? 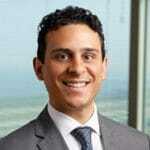 The family has instituted suit against Wyant Woods and Communicare, the parent company, for wrongful death. 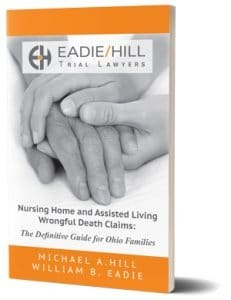 A wrongful death lawsuit in Ohio is brought on behalf of the surviving family members. The family hopes that this lawsuit will bring awareness to mistreatment at nursing homes and will prevent future injuries to nursing homes residents. According to its website, Communcare owns, runs, and manages rehabilitation centers, nursing homes, and assisted living facilities throughout Ohio, Pennsylvania, West Virginia, Indiana, Missouri, Virginia, and Maryland. A complete list of all Communicare facilities is at the bottom of this article.